Battletoads Double Dragon (Super Nintendo SNES) NEW SEALED MINT GOLD VGA 85+! Battletoads/Double Dragon (Super Nintendo SNES) NEW SEALED V-SEAM MINT VGA 85! 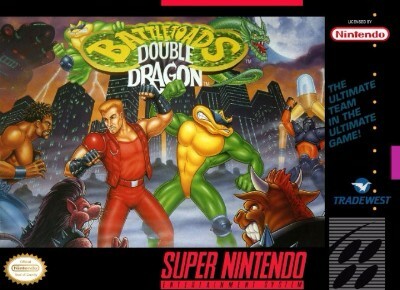 Battletoads & Double Dragon - The Ultimate Team (Super Nintendo) Game Only!! Battletoads & Double Dragon - The Ultimate Team (Super Nintendo Entertainment S?